Two artists collaborated on this wedding present: Herlingen wrote and illustrated the title page for the manuscript. 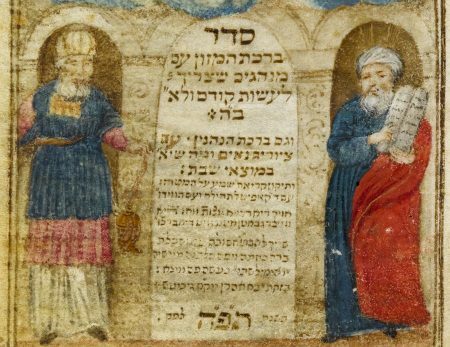 The drawings for the prayers and presumably the texts as well are by his contemporary Meshullam Simmel ben Moses of Polna, making it the first known collaboration of the two artists. The owner of the book was named Hindl and noted the birth of her children between 1729 and 1741. Birkat ha-Mazon (Grace after Meals), 1725, Aaron Wolf Herlingen, Vienna, paper.